Campus interview from various companies are arranged every year for the final year students for undergoing 1(one) year on the job training. Likewise, good number of passed-out students are placed in companies across the country. 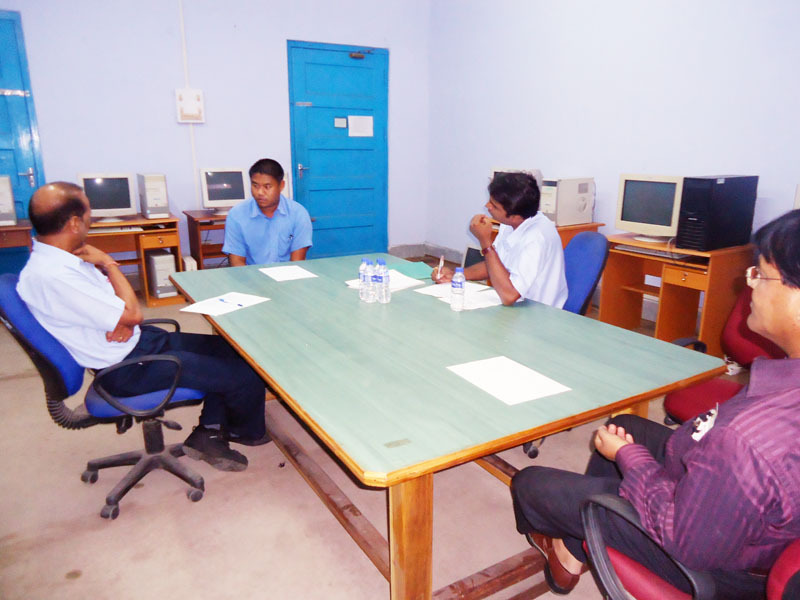 Students are interviewed at its Dimapur campus as well as on site by the Companies according to their performance. Companies expressed willingness to induct more students from the centre in years to come. The average Training Allowance is between Rs. 8000/- to Rs. 15,000/- pm during a period of one year depending upon respective Company rules. During the visit to these Companies by NTTC Official to ascertain the performance of students, employers express sanctification and offering cent percent absorption. Further, they have expressed their requirement to absorb more students in their plant in the subsequent years. Therefore, it is expected that this group of professional students shall certainly find good placement in companies, if they so desired, with good salary packages. The demand of Diploma students is high in the market both across the country and abroad. The Institute has arranged Placement Interview with several companies for candidates undergoing various short term training programme.